Folding, Sliding Doors have been proven in Europe for many years and give you the opportunity of creating more space by opening up a room or conservatory to the outside. Our superb range of aluminium bifolding doors allow you to seamlessly merge your home or conservatory with your – garden bringing the outside inside. 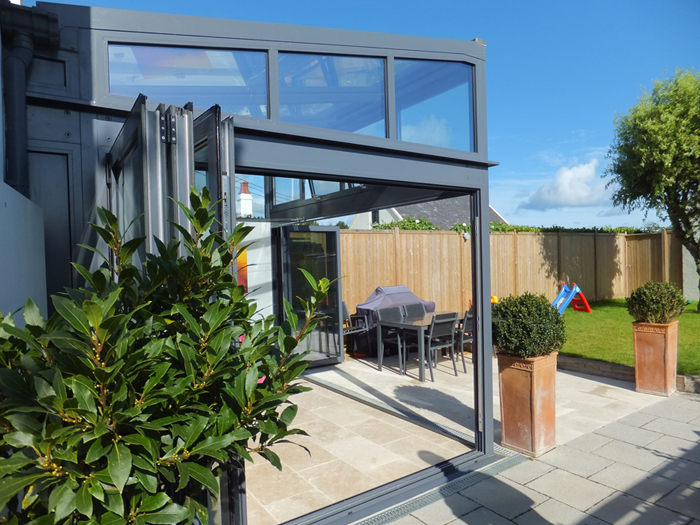 Affordable Aluminium bifold doors are manufactured from slim thermally broken aluminium profiles which provide strength and security, allowing you to fold and slide the panels back to left or right and open up an unobstructed wide opening to a patio or garden. 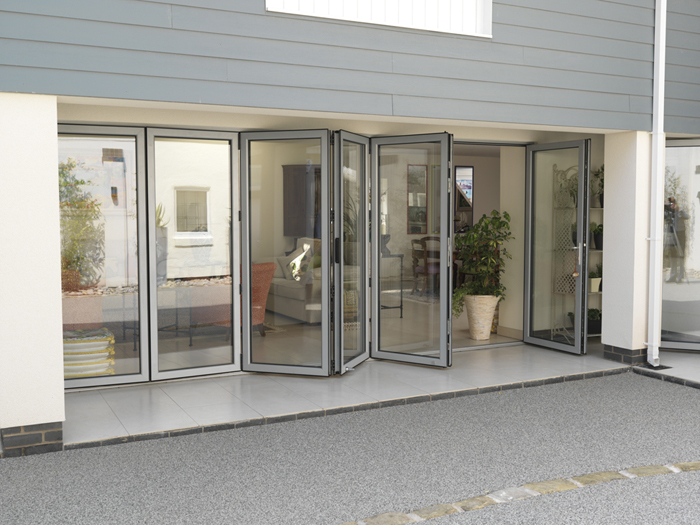 Our range of aluminium bifold doors are fully compliant with Doc L of the Building Regulations. Folding doors for internal use can be specified with a low threshold or a flush track so the two floor levels remain constant. Our Visofold aluminium folding door has a 30mm low threshold which can be sunk into the floor. Many styles can be specified with a traffic door which provide a normal day-to-day door leaf, allowing easy access to the garden without opening the whole bi-folding door up.